Gymja Clinics are a daily camp December 26, 27, 28 from 10AM to 1PM. 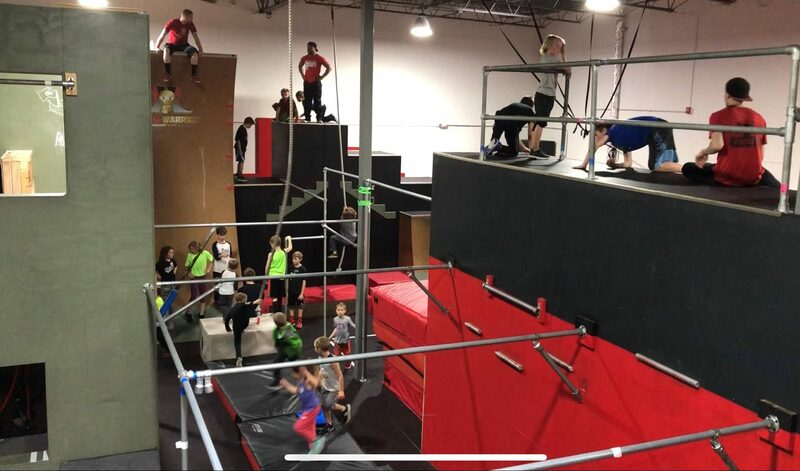 Our goal is to keep kids fully engaged with challenging games and Parkour and Ninja training skills. As always, campers are welcome to stay for open gym from 1PM to 3PM. Don’t forget a snack/lunch and a drink! Nerf Wars are a safe structure war. We provide guns, darts, and safety glasses. Players are welcome to bring their own guns but please leave darts home. Extended Open Gyms get kids out of the house and give them an opportunity to practice skills and obstacles they learned at camp. Camps are $50 per day per camper. Bundle and save! The full vacation week experience at Gymja is valued at over $300 individually, but bundled for only $200!